Progress & development is all around us with the commercial vehicle industry being no exception. So, when we rediscovered an article in a trade magazine from 1988 containing an interview with Brian Maydew, the then Secretary of the United Kingdom Truckers Association, putting a P92 MA 4×2 RC provided by Keltruck through its paces, we couldn’t resist the opportunity to catch up with Brian & see how the modern day Scania compared to the offers of some 17 years ago. At the time of the interview Brian was delivering chemicals for Albright & Wilson. He described the Scania as being very smart & very comfortable with all switches & controls located in easy to reach places; clearly a large emphasis had been placed on driver comfort. However small niggles were present, such as issues with the positioning of the stereo and the problems of getting in and out of the bunk. Brian is now Marketing Director for Arrow Environmental whose head office is located in West Bromwich, in fact just around the corner from Keltruck’s West Bromwich head office & depot. Arrow Environmental offers a complete nationwide environmental service for all types of fluid waste, to all industries. From collection, transport & treatment to the cleaning process after waste removal. The performance & reliability of the commercial vehicles operated by Arrow is of utmost importance. Arrow run a fleet of 18 vehicles, 50% of which are Scanias. Now that Brian is as a company director actively involved in the day to day decisions that affect the overall success of the business, other factors outside the issue of driver comfort must also be considered. Brian & his colleagues need to know that the vehicles they run will be both fuel efficient & reliable &, in his opinion, Scania does not disappoint. Operating Scania vehicles means Arrow can benefit from limited downtime. Their vehicles are serviced by the Keltruck nightshift, which means they can operate all day long & meet the needs of Arrows customers. Brian says that the aftersales service from Keltruck is exceptional, & the relationship & communication from service staff is a credit to the high standards that the Scania network set themselves. Arrow pride themselves on looking after their employees &, when they asked their drivers what vehicles they wanted to drive, Scania was the unanimous response. 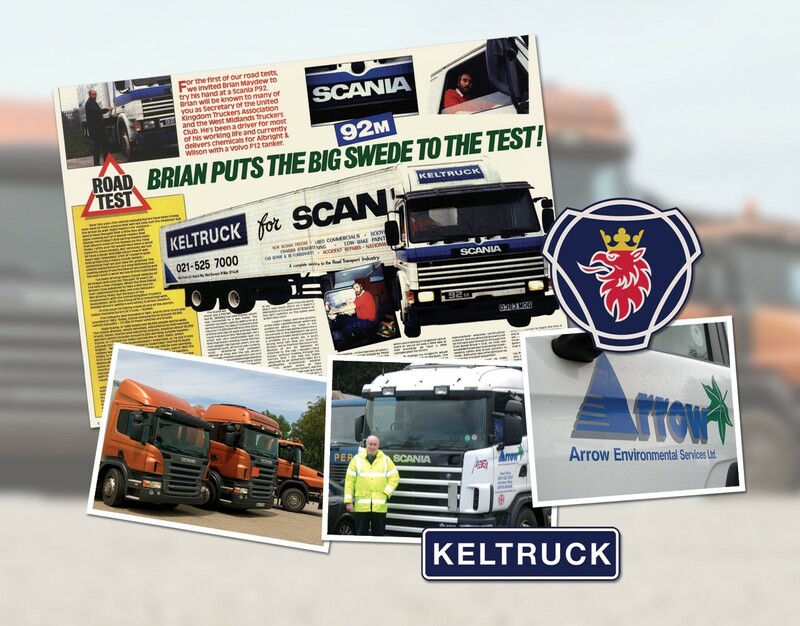 On the whole Brian & the staff at Arrow have been extremely impressed with the progress that both Scania & Keltruck have made to ensure that they meet the needs of their customers in one of the UK’s most demanding industries.